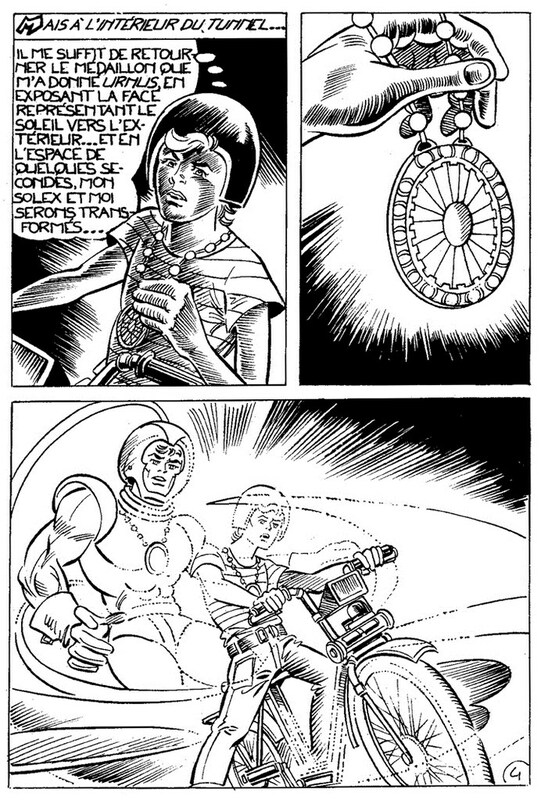 Tom Tanner rescued the alien Urnus (from the race of the Achernauts) who gave him a medallion that grants him the ability to create around him any costumes, machines and vehicles that he can envision in his mind. 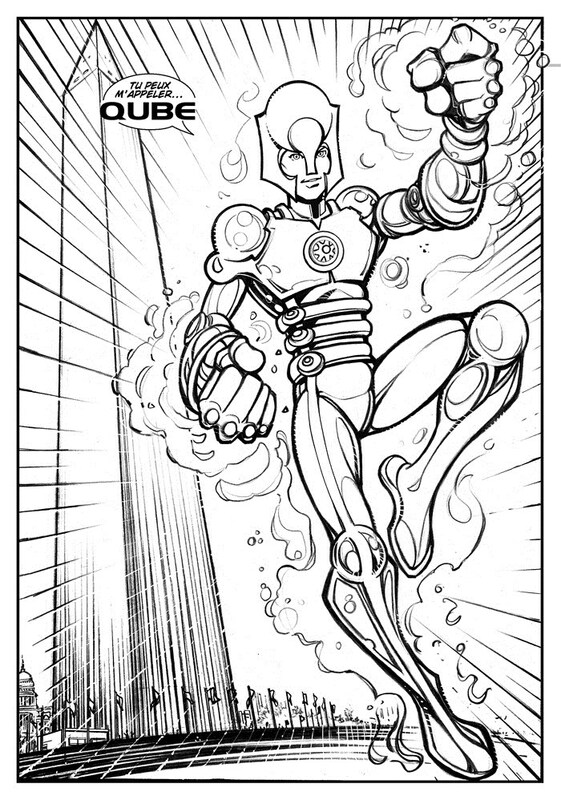 Having read lots of comics, Tom can create a dizzying array of super-powered devices. As Qube (from his "Little Cube" family nickname), Tom then saved human astronauts from the same aliens who, hidden inside a hollow asteroid, seemed to threaten Earth. But it turned out that these aliens were peaceful space wanderers having lost their homeworld, looking for a new one. Tom then fought the US army forces of fanatical General Soames to give the aliens time to repair their ship and leave the Solar System. He then helped capture the irradiated Gang of the Blue Mutants. He fought to a standstill against evil genius Professor Katten who tried to steal his medallion. At the behest of Archie Bolt, Qube later joined the super-group known as Kidz, of which he is the youngest. There is a grown up version of Qube called SuperQube on the parallel earth called Urth, who is a member of the Lightning Lords.